Goodie bags / Sweet Treat included! - Magic show features a LIVE bearded dragon! - Hahna is amazing with kids of all ages she will keep the kids mesmerized, attentive, involved, and excited for the entire show/service! - Hahna is essentially a little kid motivational speaker. -The kids and parents are always dazzled and delighted! Hahna performed a program at our library and did a great job for us. The sound of the children's laughter and their excited response throughout the program showed us that they were having a great time. She kept the kids fully engaged and kept the action moving with terrific enthusiasm. We booked her as part of Civility Month and she did a nice job of incorporating the themes of civility and gratitude into the fun. I'll never forget the delighted expression of a young boy, clutching a balloon animal and staring at the bubble machine with pure joy. I will definitely be inviting Hahna back to present another program. 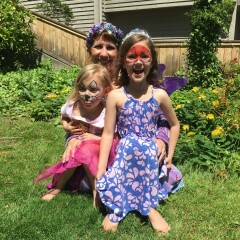 Fairy Magic was a fabulous afternoon of fun! Fairy Magic came for our daughter's 6th Birthday Party. She started off and did face painting for the kids which was unbelievable. Our daughter chose the fairy mask which turned out adorable and plenty of sparkle. Then she continued with her wizard magic show. At this age it was perfect since she did actual magic tricks!! She made rainbows out of water and had her bearded dragon appear out of nowhere. Even my older son was trying to figure out how she did things. Then she added the special touch of knowing a few specific activities or events that our daughter had done or was about to do (building a zipline with her dad and starting a new school this year). It made the magic feel real for the all the kids and they had a wonderful time! Thank you!!! It was super fun! 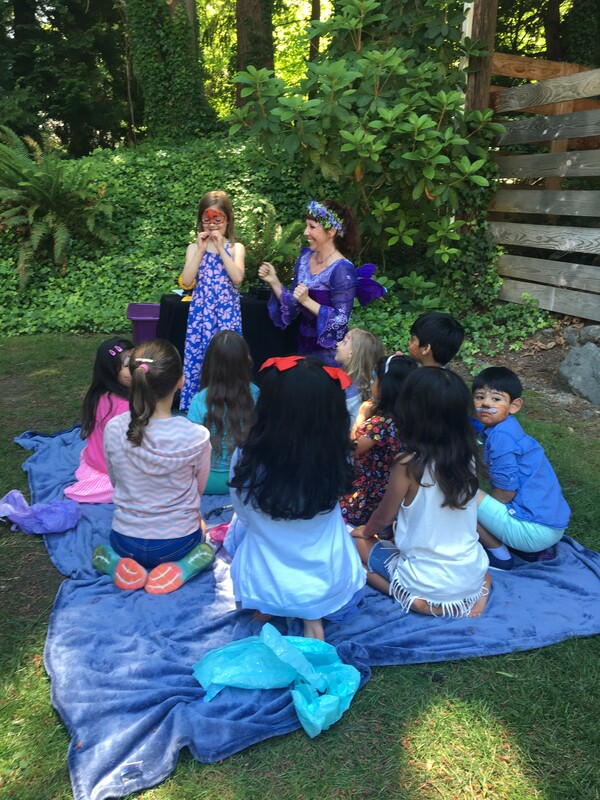 I'm so glad I found Hanha and her fairy magic show for my daughter's birthday party. The kids at the party absolutely loved her! 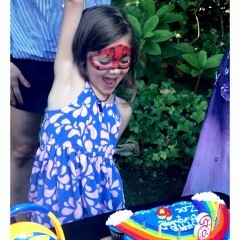 She kept them entertained with face painting, games, a magic show, comedy, and balloon shapes. I received such positive feedback from the parents as well. Not only was she great at the party but she was also so pleasant to deal with over the phone when making arrangements and planning everything. Look no further to entertain your kids at an event!! I highly recommend fairy magic!! We were so very pleased with Fairy Magic! I’ve been meaning to write this review forever, but I’ve been telling anyone who is asking for party entertainment because it was so great! 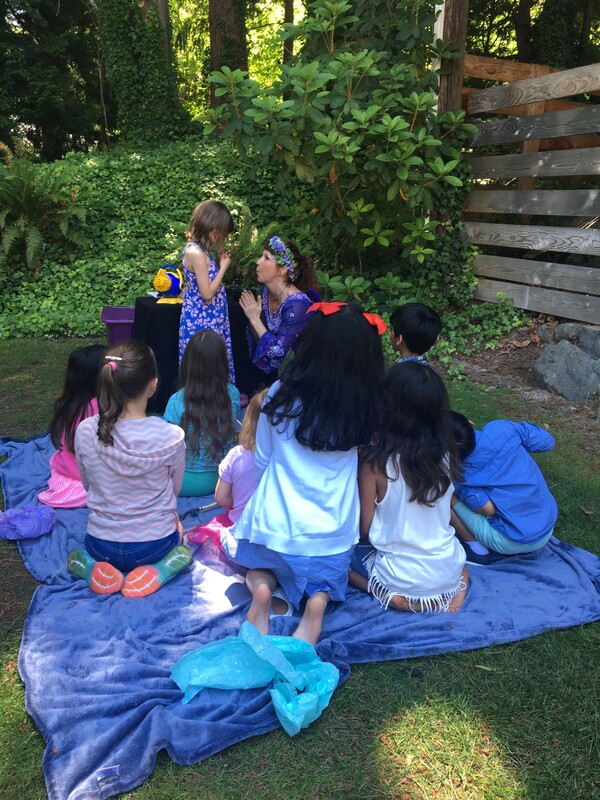 She did face paint, balloon animals, a magic show, and even tuned our chakras! I saw a comment here about it in a negative light, and I just wanted to say that as a devout Christian who used to teach Sunday school, I have zero issues with the show. It was a very short period where we said positive affirmations while envisioning colors. We have photos and everyone was smiling ear to ear while we were doing it! She brought joy to the children and parents alike, and we will definitely be using her again! Saw her at Langley while visiting on the Clipper Christmas Cruise. She performed an amazing card trick. She was a very nice and engaging lady. I would recommend her for events. She was a good entertainer for the little kids but her new age point of view of praying to yourself, the use of crystals, etc. was not appreciated in a Christian church. We had several parents who mentioned their disapproval. The face painting should have been the first thing done instead of the last. The kids had no time to enjoy their painted faces as this was an evening event. She did an amazing job for my son's 4th birthday party. The kids loved her and she managed to keep 16 kids entertained for 1 1/2 hours. She made my sweet birthday boy feel extremely special!! Thank you so much for your hard work!! 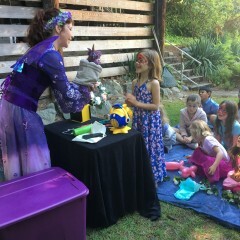 We all had a great time with Fairy Magic, kids loved it, and so do the parents. Hannah was very patient and sweet with all the kids making sure everybody got a turn. 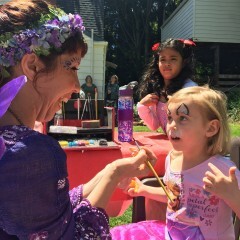 She did face painting, magic and balloon shapes for kids, and all the three was a big hit. Kudos to her energy level she kept kids on their toes throughout the show time. Overall a wonderful experience , I cannot think about any cons. Thank you so much for making our party so memorable. Hanha Luna was such a sweet and fun fairy. We had her for a 7th birthday party for our daughter. 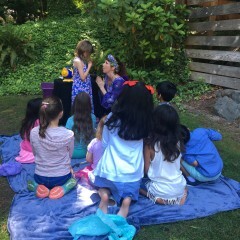 We had a lot of kids and she was able to keep them all focused on her and her fun fairy magic. Our daughter really enjoyed the show and Hanha Luna made her feel very special on her day. All the kids enjoyed the face painting, along with a few of the parents. Great show. The kids loved it! I have had several delightful occasions to see this stunning and sparkly fairy do her work with kids. They are so happy, engaged and enchanted; the smiles tell all!! Hahna was amazing with my 5 year old and her friends. 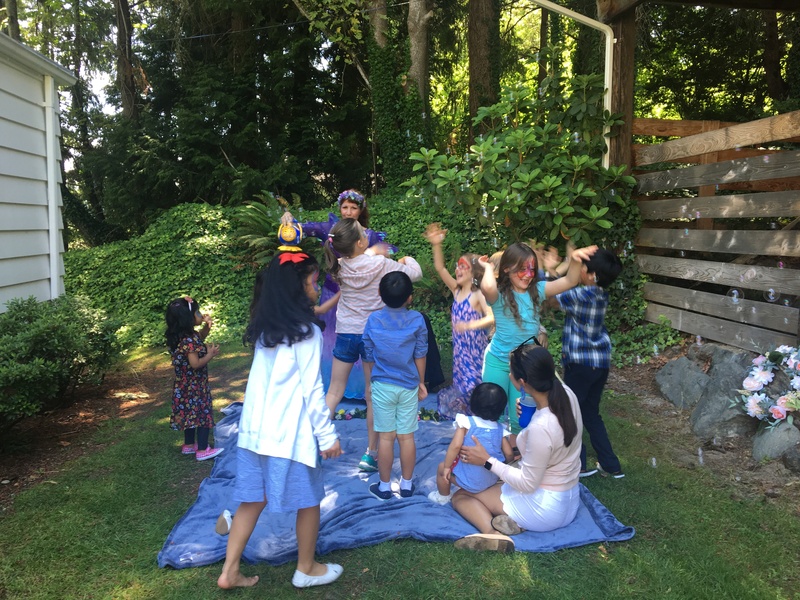 She was engaging and kept the kids entertained throughout the event with balloons, magic tricks, face painting and their general goofy behavior. Fairy Magic is the best!!! Kids had so much fun with the entertainment they shared and performed! Thanks Fairy Magic! Fairy Magic is amazing! She came to entertain 15 kids for 2 hours at my daughters 6 th birthday party this past weekend. They had an absolute blast! 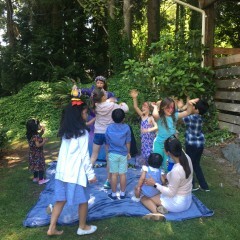 She kept them busy with games and face painting and bubbles and magic! She even gave them each a gift and.... the birthday girl got an extra special one! She is a bit like a kid inspirational speaker....enforcing things like ' happy, healthy thoughts ' etc. in a sweet, kid friendly way. She had so much energy! 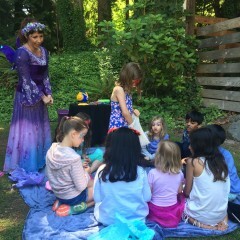 The adults were able to relax and have a bbq while Fairy Magic entertained the kids. She was really organised and communicated excellently with me. Totally worth it! I highly recommend her! 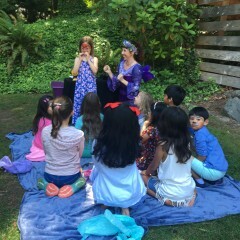 My daughter and her guests loved having fairy magic at her 6th birthday. 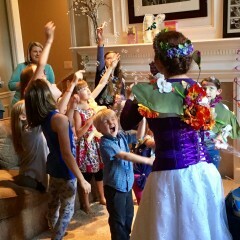 Hahna''s fairy magic delighted everyone at my 6 yr old's birthday party. I highly recommend her for creating a great party vibe while imparting a beautiful message! The gratitude butterfly left a wonderful impression on our daughter. Very entertaining and the face painting was superb! 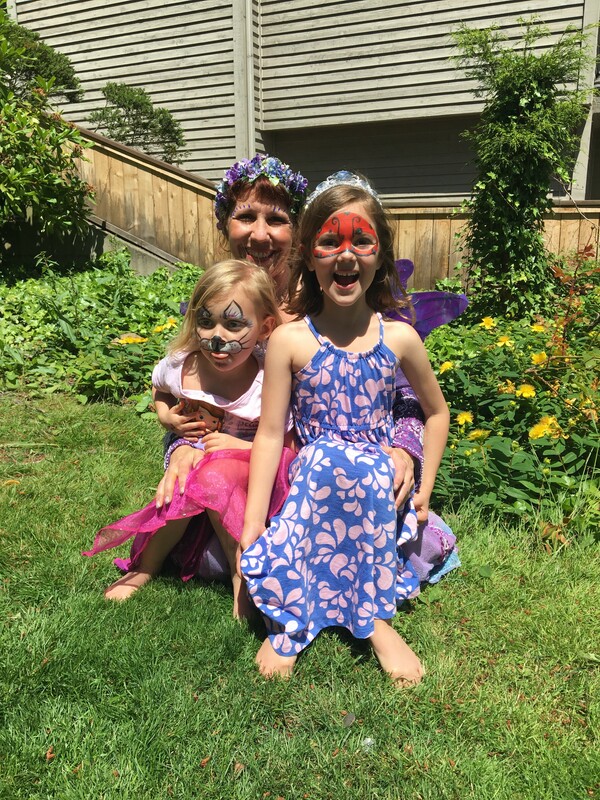 My kids can't stop talking about Fairy Magic! 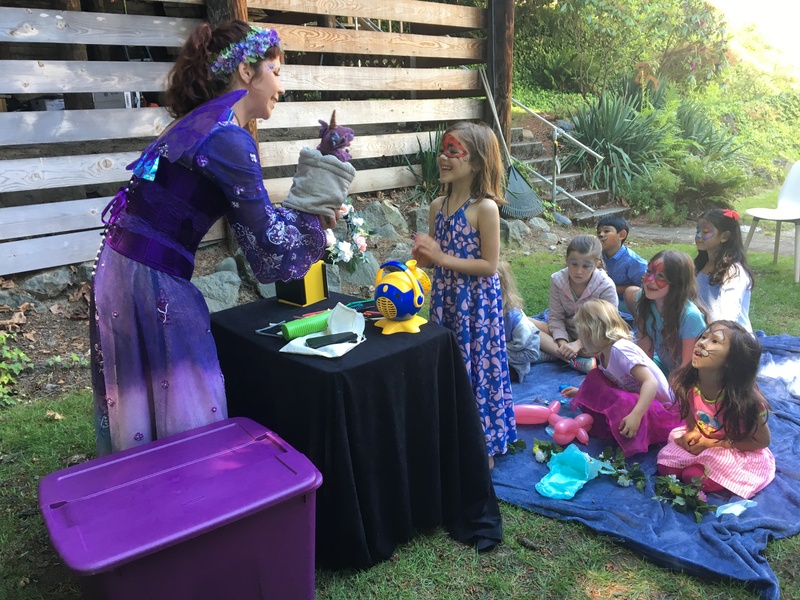 My kids (3yo & 6yo) absolutely love any entertainment provided by Fairy Magic! They most recently went to a birthday party where they saw the magic portion for their first time & cant stop talking about how fun it was. The face painting is always top notch & beautiful! Hahna is amazing with kids of all ages & she really makes every experience magical. 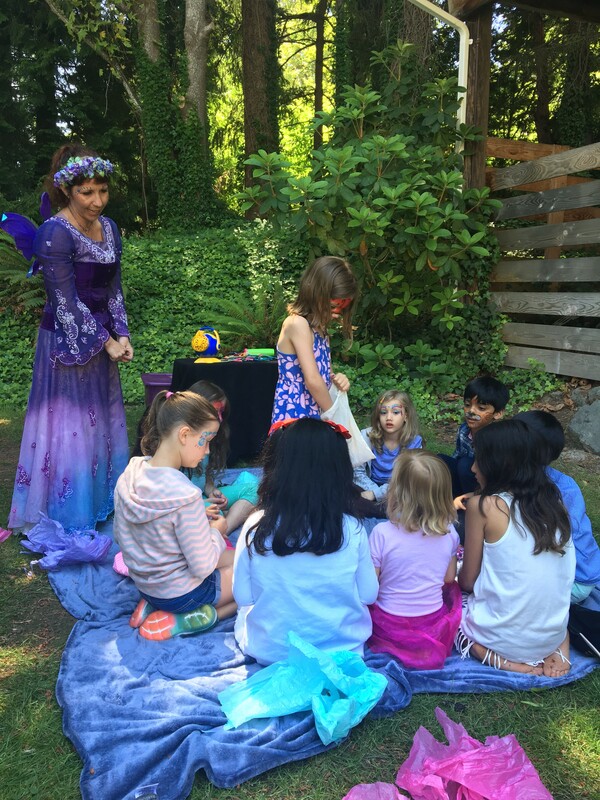 Highly recommend Fairy Magic for any event! She's wonderful! She had all the children from 2-10 mesmerized! They were all attentive, involved, & excited for the entire show. For our health themed event she was professional, silly & informative all at the same time - perfect for entertaining the kiddos as well as teaching them at the same time ;) She mixes it up in perfect parts (magic, illusion, dragon helpers, visual aids, questions, etc) to make it fun for all the kids (plus us adults were engaged as well!!). My six year old son loved the show. We look forward to seeing her again!!! My daughter loved this show and emulated the fairy's magic tricks for the rest of the day. Can't wait to go to the next one! Hahna engaged young children and their parents with both glitter and substance with her stories. Her face painting technique takes that art to a new level. 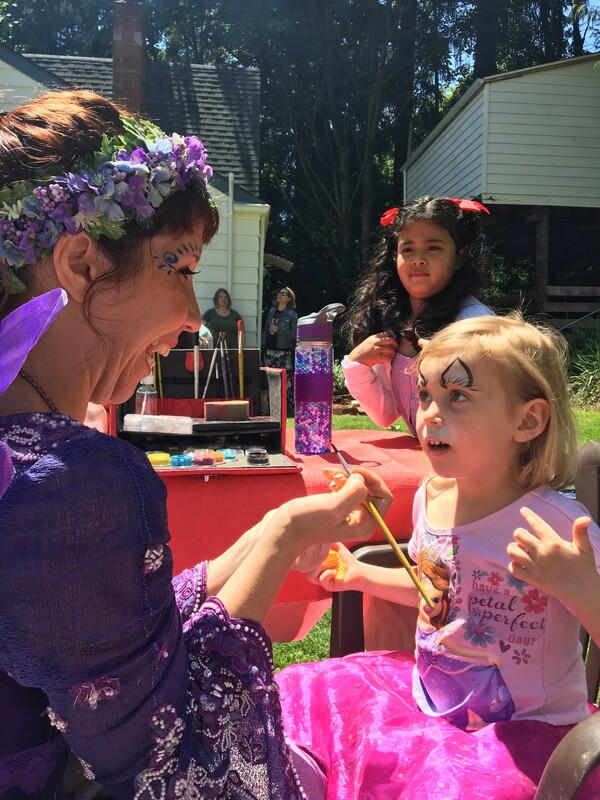 Families attending the South Whidbey Tilth Farmers' Market were enchanted. Hahna is not only talented but performs with integrity. Hahna is magical and devoted to all children, she is colorful and delightful! I look forward to working with her again in the future. Hahna is wonderful. Great energy, talented and easy to work with. The kids love her. She has provided her services for my group several times and it is always a pleasure. Highly recommended! Hahna the Health Fairy is amazing. Not only is she a mother of four, she is incredible with kids, but she is is creative, fun, and passionate about her craft. 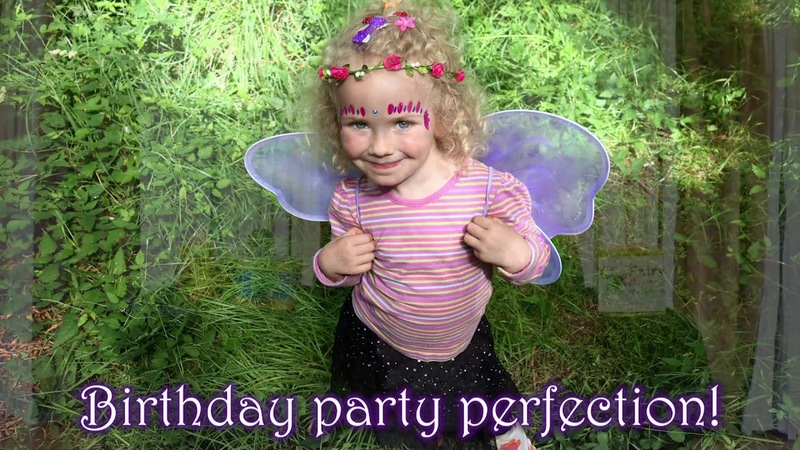 Your little ones will enjoy her fairy magic and learn some important things too. She is well worth your investment and will make your party or event extra special. Hahna Luna is the founder and owner operator of Fairy Magic. I am the mother of four children ages 5,9,13, and 17. With my experience of being a mom, I know just how to entertain and delight the kiddos! Hahna for sure is a birthday party expert ! I have had a child under 5 for 15 years, and from that life experience understand kids, and positive re-direction when necessary. As a entertainer I will utilize the distraction technique to diffuse any melt downs or up sets. I allow the parents of course to ultimately re-direct the kiddos who decide to heckle, or are not being kind. 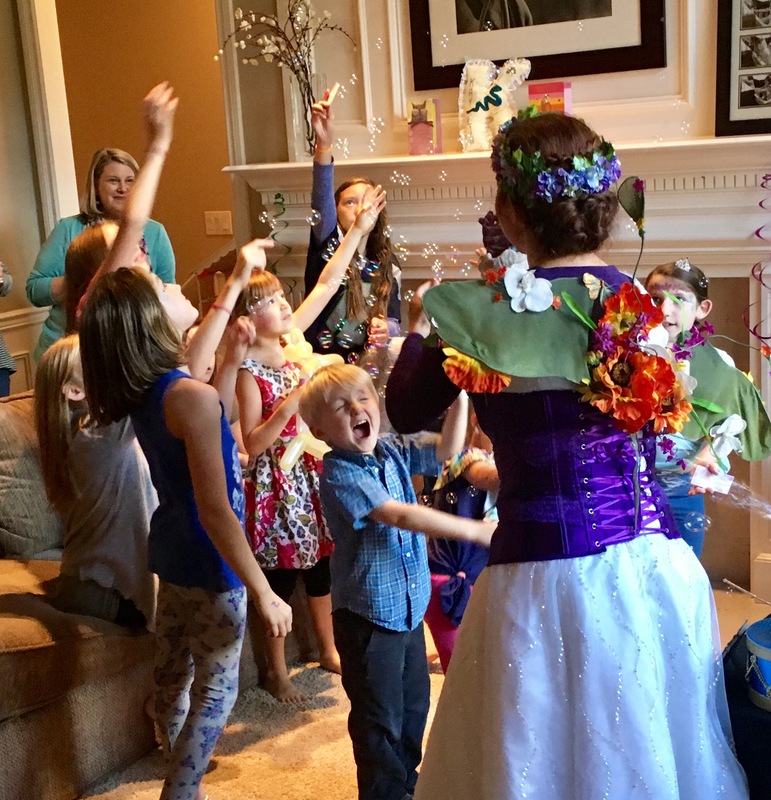 My intention with this service is to take some of the stress off the host, and to allow them to be able to focus on adult guests while Fairy Magic entertains the kids. Check out our Upgrades for goodie bags being provided and costumes for kids. The less errands the host need to do, the better. 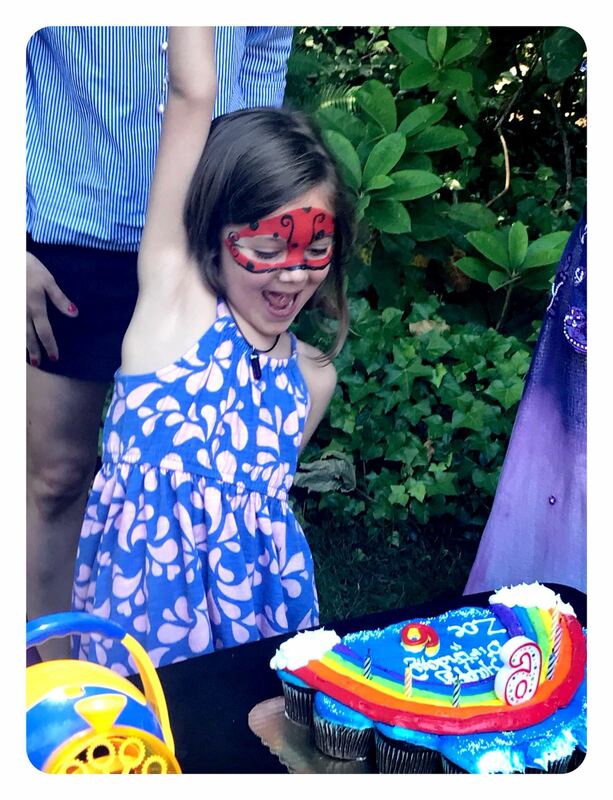 I often have felt like I could not even enjoy my own kids birthday celebration in the past cause of all that needs to be done to host a party, my service solves that problem. The magic show is very interactive and involves improv in order to meet the needs of the kids attention spans and wiggles! Together we are able to up-lift and Inspire the kids to celebrate the MAGIC of life! The flow of the birthday party is delightful and alot more enjoyable for host when they are not trying to do and be it all ! The kid entertainment is handled by a professional who has the hosts back! Fairy Magic services - Bellingham to Seattle - out call service! Facepainting: Requires a table with two chairs set up.